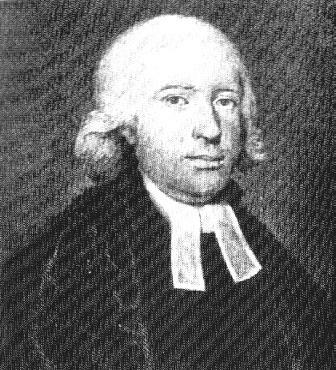 On the 12 August 1819, the Rev. Samuel Marsden came again to the Bay of Islands, anchoring at Rangihoua where the first mission station was established in 1814. He brought a second group of three missionaries with three carpenters and their families. When it became known that there was to be a second station, old enmities flared between Hongi Hika and Korokoro, chief of Ngare Raumati of the south side of the Bay of Islands, for both wanted the new settlement in his district. Not that either chief was keen for his people to adopt the new religion, but they both realised that more shipping was coming to the Bay now that Europeans were living on its shores. Increasingly the Maori were trading with the shipping, bartering their pigs and potatoes for European goods. "On the whole of the survey we had taken we were perfectly satisfied that a more suitable situation cannot be found in any of the adjacent districts of the Bay of Islands. There is a fine fall of water close to the place where we intend the new town to stand for a corn mill, saw mill or any other purpose, without the risk of expense of making a dam, which is a valuable consideration. At Kiddee Kiddee any amount of grain etc may be grown that the settlement may want for years to come, either for victualling the native children in the schools or Europeans belonging to the mission. Before our departure, we marked out the ground where we wished our public store to be built, and requested Shunghee (Hongi) to put up a temporary building for the accommodation of the stores and the mechanics who had accompanied us from Port Jackson. Shunghee immediately set his people to work." On 14 September 1819 the missionaries and carpenters who were temporarily living at Rangihoua, arrived at Kerikeri in a newly built 25 foot flat-bottomed boat, the first to be built in New Zealand, with a load of timber to build the new station.